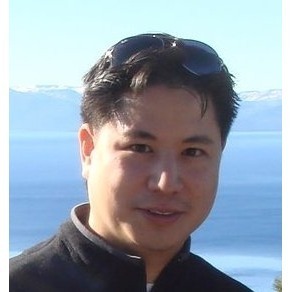 Terence Fung has been a senior leader in Zynga’s corporate development team since joining Zynga in January 2010 and has overseen over 25 transactions at Zynga. Before joining Zynga, Terence was a banker at Lazard, a leading global investment bank, where he focused on domestic and cross-border technology and digital media advisory for over 10 years. Prior to Lazard, Terence worked on a broad variety of mergers, acquisitions and capital raising activities at Deutsche Morgan Grenfell. Terence earned his bachelor’s degree from the Wharton School of the University of Pennsylvania. Terence became a competition judge for the Vator Splash LA (June 2012) competition. Terence is now connected to Eric LaVanchy. Terence started following Screaming Sports, and 13 more companies Raptr, Heyzap, Phidu Labs, Monstro.us, Fantazzle Fantasy Sports Games, Fantasy Live , Moglue, First Post Studios, Lapiluv, D2S Games, 5o'clock, Kiip and MindGames, Inc.
Terence is now connected to Bambi Francisco Roizen. Terence filled out investment critera.